The $50-million project also includes a small cafe designed by New York–based nARCHITECTS with local architects Westlake Reed Leskosky. 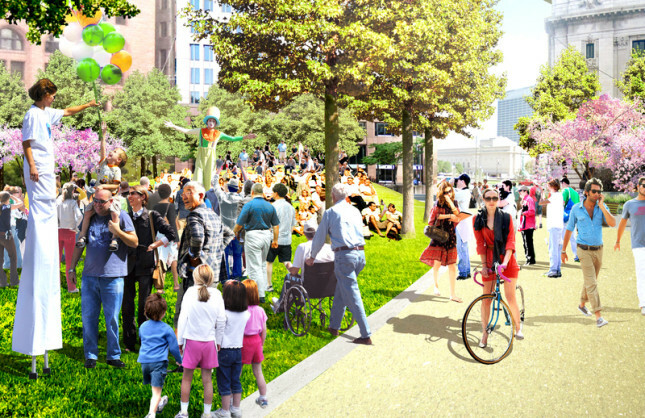 Initiated by nonprofit organization The Group Plan Commission, the Public Square is a major part of larger mission to connect Cleveland’s public spaces to Lake Erie. The Federal Transit Administration has sent a letter requesting the repayment of $12 million from the Cleveland RTA. The request comes after bus services were taken off Superior Avenue in downtown Cleveland as part of the Public Square redevelopment. The letter states that the RTA is in “breach of a grant agreement” from 2004 and that they have 30 days from December 20th to pay back the $12 million. The FTA had warned the RTA and the City of Cleveland in previous letters that there would be consequences if Superior Avenue did not open to traffic after its renovations were complete. As per the 2004 grant agreement, a "bus rapid transit line along Euclid Avenue would end in Public Square," according to cleveland.com. In a press conference in mid-November, Cleveland’s Mayor Frank Jackson and RTA Manager Joe Calabrese alluded to the square staying closed. The street was originally set to reopen in August but remained closed as the city and the RTA discussed possible options for the street. In the past, the square was been divided into quadrants, with Superior bisecting the park. As part of the park's renovation, Superior was designed as a bus-only street. The city and the RTA have yet to announce whether the street will remain closed permanently, or whether there is a timeline to reopen it. 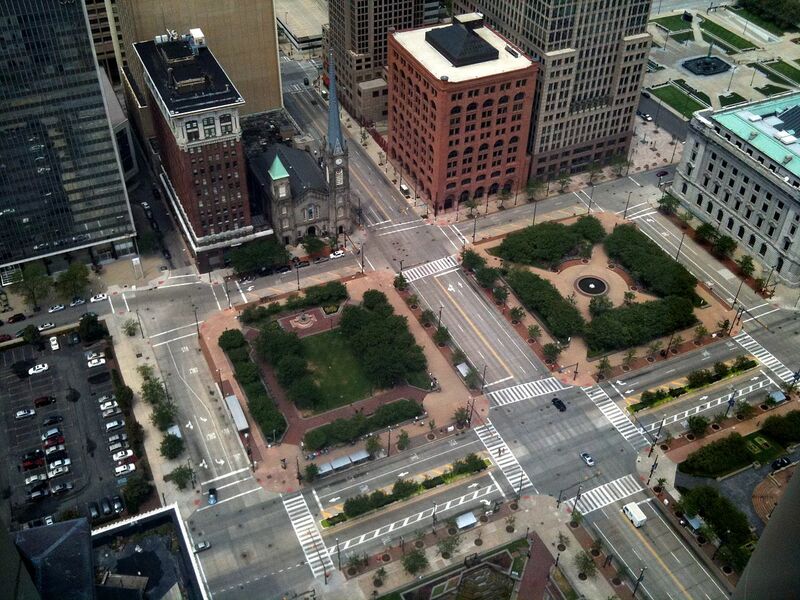 The $50 million overall renovation of the Public Square was recently completed. The 10-acre park was designed by James Corner Field Operations (JCFO) with a small café designed by New York-based nARCHITECTS with local architects Westlake Reed Leskosky. The new park is being seen as a boon for the revitalization of the downtown, and a major step in connecting the city’s public spaces to Lake Erie. 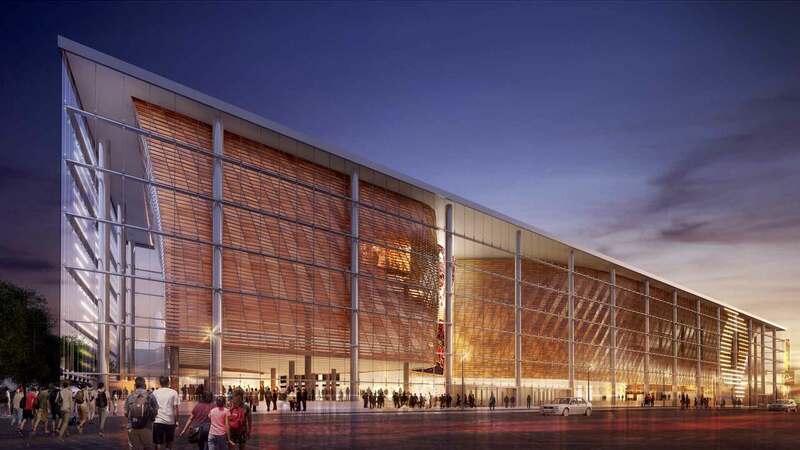 New York–based SHoP Architects working alongside Detroit-based stadia specialists Rossetti are to give the Quicken Loans Arena a massive makeover. The stadium, known as "The Q," has been open since 1994 and is home to the Cleveland Cavaliers. While a new arena would cost up to $750 million (according to Quicken Loans), the proposed refurbishment is set to total $140 million. Despite only being 22-years-old, The Quicken Loans Arena is one of the oldest facilities in use on the National Basketball Association circuit. SHoP and Rossetti's design features a new glazed facade which stretches the stadium's footprint closer to the street edge. This fenestration reveals an undulating arrangement of what appears to be wood panels which, given their location well inside the facade and north-facing orientation, don't seem to serve any shading purpose. Aside from aesthetics, entrance and exit gangway areas will witness an increase in space, thus aiding circulation—a necessity considering The Q hosts more than 200 events every year. Architectural precast panels are durable, factory-made for quality, and offer an unlimited vocabulary for the architect’s expression. However, they can sometimes produce challenges to a construction project due to their weight. SlenderWall is a relatively new product designed to simplify architectural precast construction. It incorporates the design flexibility of precast into a lighter-weight assembly that also includes a vapor barrier, insulation, and interior framing studs. 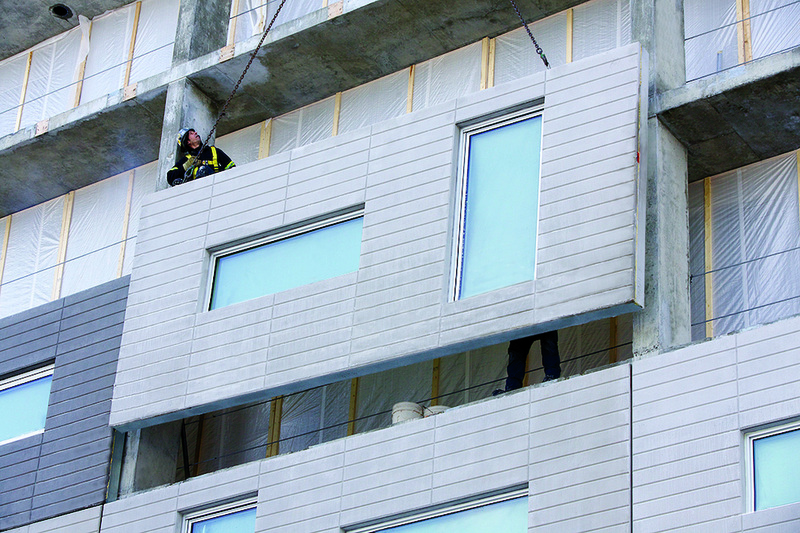 Chris Grogan, a representative with Smith-Midland Corp., a licensed manufacturer of SlenderWall panels, said that since the assembly is essentially an architectural finish concrete product, the aesthetics of the panels can be fully customizable just as with typical precast panel construction. "There's an infinite number of mix designs and the forming process is very similar to standard precast. The only difference is the framework which incorporates interior framing studs. 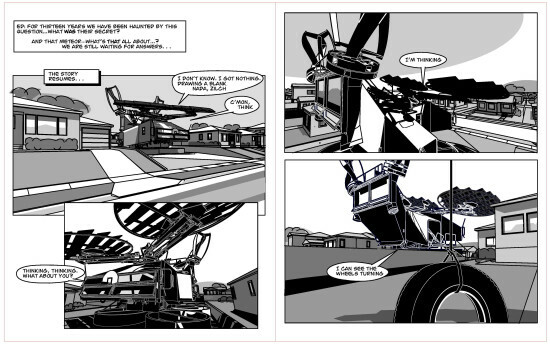 The way we finish the panels is the same as well." SlenderWall is technically a lightweight curtain wall assembly that is thermal and fire code compliant. It is an entire envelope system packaged into a monolithic, panelized unit. 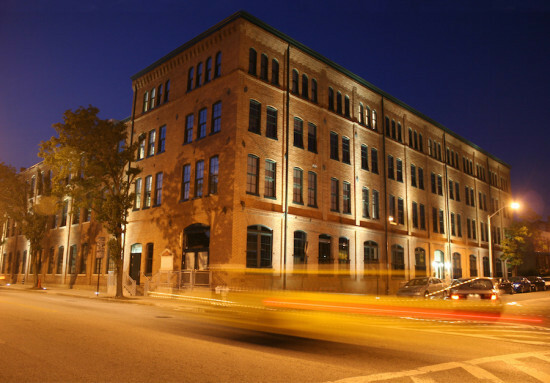 This equates to fewer trades in the field who deal with the assembly of a building's facade. Grogan refers to SlenderWall as a “turnkey” approach to construction: "The product eliminates a lot of time and effort and potential risk for the contractor in the field. Now he has to worry about one trade, rather than four or five." The system’s two-inch exterior precast panel is composed of architectural concrete and polyvinyl alcohol (PVA) fibers with welded-wire reinforcement. Stainless-steel fasteners attach this exterior concrete face to 14- and 16-gauge, G90 galvanized steel studs in a way that creates a thermal air gap filled with factory-applied, closed-cell foam insulation. The product is marketed as a lighter-weight version of traditional six-inch precast—at only a third of the weight—and was initially produced to replace typical precast systems. This is exactly what happened at the Holiday Inn on the Cleveland Clinic campus in Ohio, where a decision was made to convert the designed facade from traditional precast to an integrated wall assembly due to the cost of craning heavier panels eight stories into the area. The decision to adopt SlenderWall into the design resulted in a design-build delivery format for the entire building envelope. The nine-story, 276-room hotel, designed by Kaczmar Architects, Inc. (KAI) integrated Cleveland Clinic's architectural guidelines, which called for a minimal palette with specific wood trim detailing and modern detailing. Traditional precast detailing at the base of the building, also manufactured by Smith-Midland, was able to produce a compatible aesthetic. Typical jobs that use the SlenderWall product involve high levels of coordination among the contractor, the architect, and licensed manufacturers like Smith-Midland, which ultimately lays out the panels to meet project-specific structural and aesthetic requirements. This is the lengthiest part of the process, according to Grogan, but results in a highly efficient factory-controlled fabrication process, and a fast-tracked construction process in the field. Cost savings are maximized when highly repetitive high-rise designs are able to incorporate larger format panels, and a single set of plans and details will take care of the entire building envelope. Contractors eliminate the scheduling and warranty issues that arise when multiple insulation and interior framing crews are required—and, in high-rises, the challenges of bringing in the oversized cranes necessary to lift significantly heavier architectural precast panels into place (as was the case for the Holiday Inn) are eliminated. Aside from the Cleveland Clinic Holiday Inn, other projects include ETS Montreal, a student-housing complex with three-color panels in 32 different window configurations and factory-applied R-21 closed-cell foam and factory-installed windows. And, due to its light weight, SlenderWall is easily installed on job sites with reduced access such as with Hyatt House, a $90-million 13-story hotel on Jersey City's waterfront. The re-cladding of a nine-story building on the Johns Hopkins Medicine Baltimore Campus also benefited from the lightweight SlenderWall system. Its 30 pounds-per-square-foot specification and unique composite construction allowed for re-cladding to take place without the removal of the old fascia. There was also no need for additional superstructure or foundation costs and the facility was able to stay operational during the exterior renovation. Cleveland will host a new contemporary art triennial in 2018. FRONT International: Cleveland Exhibition for Contemporary Art will bring together works from the collections of multiple Cleveland art institutions. FRONT will be displayed in museum exhibitions and unconventional sites throughout the city. More than 50 artists will produce site specific works, public programs, a temporary academy, a web-based Midwest art journal, along with solo and group exhibitions. The exhibition will commission 20 new works from local, national, and international artists. The curatorial team will also nominate six international artists for the fall 2017 Cleveland Foundation's three-month artist residency program, Creative Fusion. 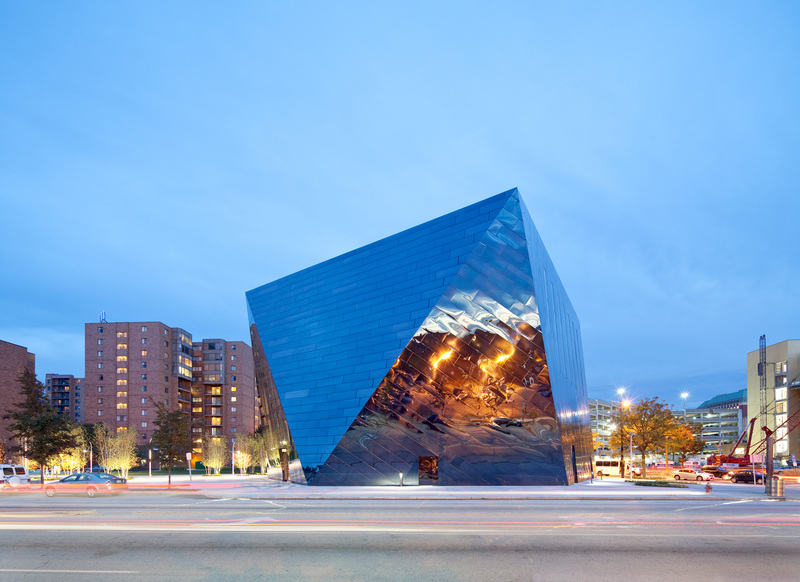 Main venues for the exhibition include: the Akron Art Museum, Allen Memorial Art Museum at Oberlin College, Cleveland Museum of Art, MOCA Cleveland, SPACES, and Transformer Station. Set to run from July 7 through September 30, 2018, the inaugural exhibition will be entitled An American City. Co-Artistic Directors, Michelle Grabner and Jens Hoffmann, plan to rethink the conventional triennial exhibition model. Presenting partners for the exhibition will include the Akron Art Museum, Allen Memorial Art Museum at Oberlin College, Cleveland Institute of Art, Cleveland Museum of Art, Museum of Contemporary Art Cleveland, LAND Studios, Maltz Museum of Jewish Heritage, The Sculpture Center, SPACES, Cleveland, Transformer Station, and Zygote Press. Substantial gifts have been committed by The Cleveland Foundation and the George Gund Foundation. "Cultural identities are multilayered, conflicted, and vary in hyper-local ways. An American City investigates the complex processes by which Cleveland is being constantly undone and rebuilt," Grabner and Hoffmann explained. "Treating the city as both paradigm and physical site, this citywide initiative will tease out the ways in which contemporary experiences of an urban location are shaped by historical and current events, and uncover how the city's collective memory and sociopolitical imperatives can define artistic and curatorial production." 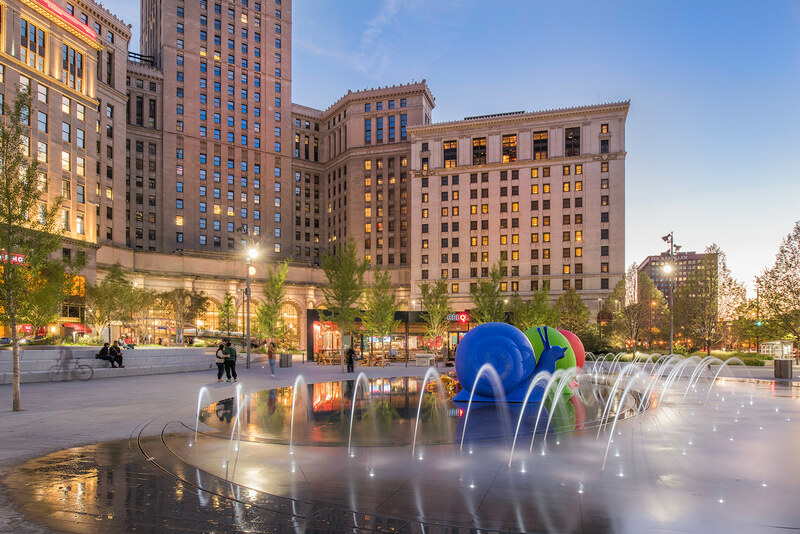 After several years of planning and 15 months of renovation, Cleveland Public Square reopened to the public last Thursday. The dramatic $50 million restoration of the 6-acre park offers a variety of opportunities for public programming and activities; it has even helped prompt a series of residential and commercial construction projects in the city’s center. James Corner Field Operations has completely transformed the park: Ontario Street is now permanently closed between South Roadway and Rockwell Avenue; Superior Avenue is used exclusively for transit; corners of intersections and formerly paved areas have been converted to green lawn. The design also includes a fountain in the park’s center which will serve as an ice rink in the winter, a wide range of vegetation, and extensive walkways. 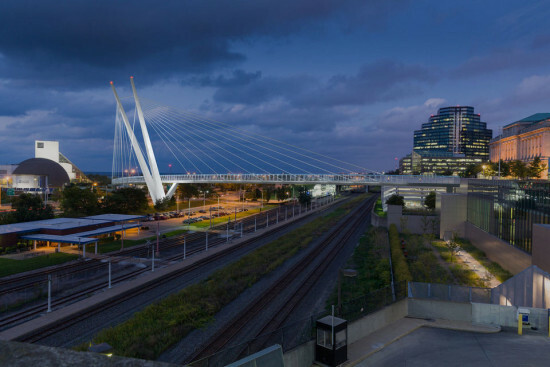 LANDStudio and the Group Plan Commission, two civic groups, oversaw the project’s financing and construction. The extensive restoration consisted of the reconstruction of water, electrical, and communication infrastructure below ground and above ground construction that converted the roadways into a pedestrian corridor. The opening comes just before the Republican National Convention to be held in Cleveland. 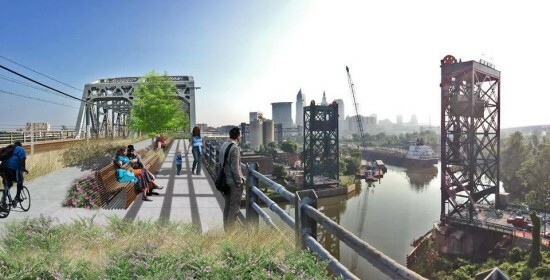 Nonprofit Cleveland-based LAND Studio has been awarded a $1.5 million grant from the Char and Chuck Fowler Family Foundation to install temporary outdoor art over the course of three years. The installations have been designed by Italian art collective Cracking Art Group. Art will be displayed in the city's Public Square, currently in the final stages of a $50 million overhaul by New York Firm James Corner Field Operations. 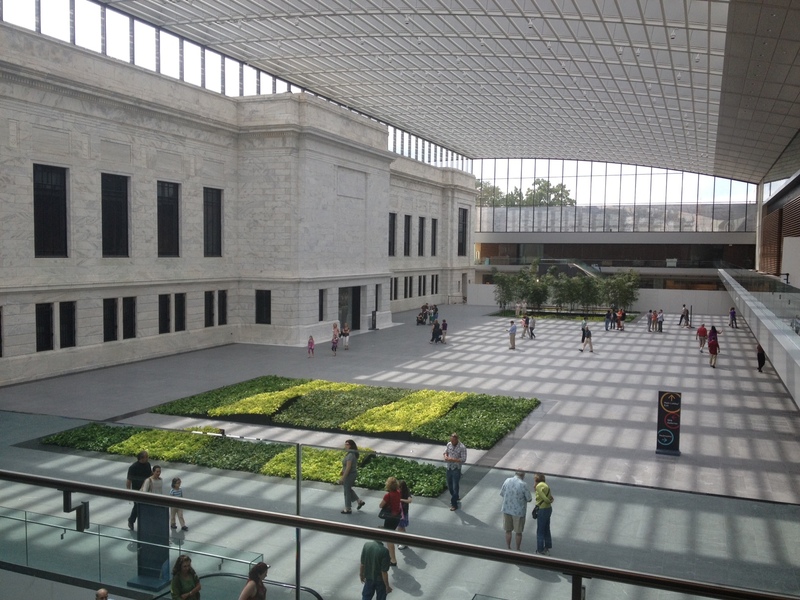 The Mall and balconies and garden of the main Cleveland Public Library will also be used as locations. Based in Milan, Cracking Art Group are well known for interspersing brightly-colored oversized animals across the city. 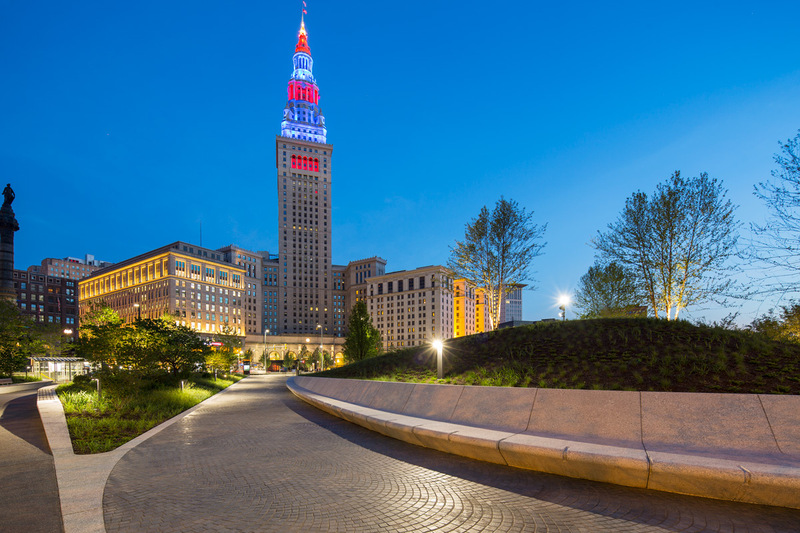 Clevelanders can expect huge yellow snails or mobs of pink meerkats to invade the ten-acre civic space, adding a vibrant dash of color to the scene. Other animal additions include groups of swallows, wolves, frogs, and a red elephant, are set to be the showpiece focal point of the installation. Rising to some eight feet high, the elephant, the symbol of the GOP, will welcome Donald Trump and co. to the area for the Republican National Convention this year on July 18. Being made from plastic, the colorful animals will not be fixed to the ground, allowing for children to interact with them though LAND Studio acknowledge that this means some could be stolen. Others, meanwhile, will be weighed down with sand to keep them in place. "The choice of recyclable plastic for its aesthetic appeal shows acceptance of the inevitability that our world is becoming increasingly artificial," say Cracking Art Group on their wesbite. "The artworks are designed to inspire a community-wide conversation about the importance and the environmental impact of recycling, while leaving a potent artistic trace." Before the installation can go up, however, the the city's Landmarks Commission has to award approval to the finalized proposals, though it was reported that "stakeholders, including the city, have already weighed in." Even when the animals leave the area however, LAND Studio, who are working alongside fellow stakeholders Cleveland Urban Design Collaborative, James Corner Field Operations and Nelson Nygaard hope that their colorful impact will remain with Public Square that they will essentially inaugurate. 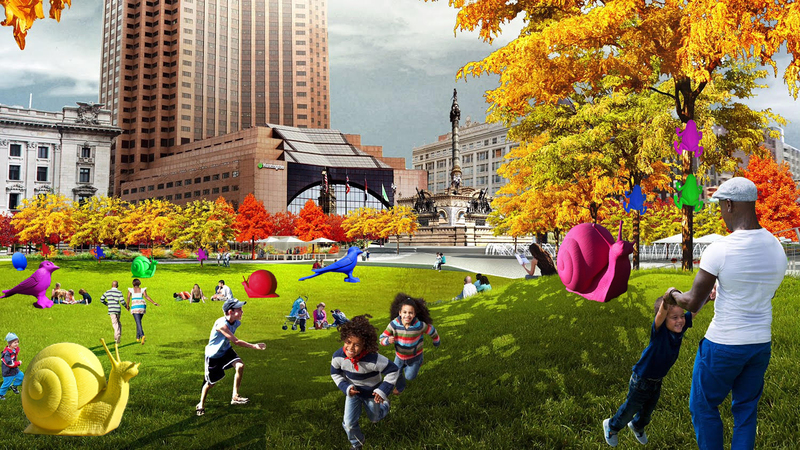 "Public Square will be transformed from four individual quadrants into a singular public park that can be used throughout the year for a wide range of programs and events," they say. "Landscape and design will create a soft colorful space that invites people in and encourages them to stay. The Square will include pedestrian pathways, green spaces for concerts and events, areas to sit and lounge, a water feature, a café and restrooms. The Soldiers and Sailors Monument will remain, but will be integrated into the overall park and become more accessible." The display by Cracking Art will feature 376 of the group's standard creatures, plus a bright red elephant, standing more than, which begins July 18.